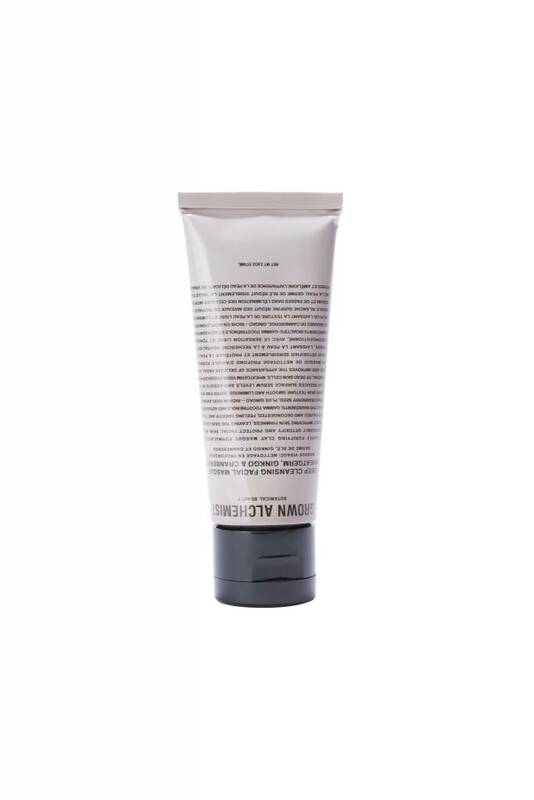 A deeply cleansing clay masque formulated to detoxify the skins appearance while noticeably improving skin firmness. Leaves skin looking visibly revitalised, decongested and feeling smooth, toned and prepared for moisturizing. Protec-3 complex and gamma tocotrienols and asta-xanthin from cranberry seed defends facial skin from oxygen, nitrogen and carbon free radical damage ensuring skin texture is smooth, luminous and noticeably younger. Gingko and centella, rich in bioflavonoids, promote healthy looking skin. superfine white clay reduces surface sebum levels and assists in the removal of dead skin cells. Wheat Germ, rich in vitamins a, e, d and essential fatty acids visibly reduce pore size and improve the appearance of delicate facial skin firmness and tone.